Premier Laser & Skin Clinic is one of the industry’s leading laser hair removal specialists in London. Here, we only use the latest technology medical grade lasers, which means highly effective results. Our laser hair removal specialists have many years of experience, which for you, means successful hair reduction for any skin type. Get in touch with us today to book your free no-obligation consultation at any of our London based clinics. Premier Laser & Skin Clinic is one of the industry’s leading laser hair removal specialists in London. Here, we only use the latest technology medical grade lasers, which means highly effective results. Our laser hair removal specialists have many years experience, which for you, means successful hair reduction for any skin type. The process begins with an initial consultation to discuss the area of treatment and how best to prepare. During this consultation we will also do a patch test on the area you have selected for treatment. On the day of your first treatment, we will cleanse and shave the area that needs to be treated. Once the laser is ready, the hand piece will be applied to the skin. Some clients have reported a slight tingling sensation on the surface of the skin during treatment. At the end of the treatment, we will apply soothing aloe gel. You can have your next treatment usually within six weeks. A full course of 6-9 treatments will result in long term reduction of hair growth; however, this is dependent upon individual skin tone and hair. An annual top up session is recommended for maintenance. Please speak to our advisor team for further information. 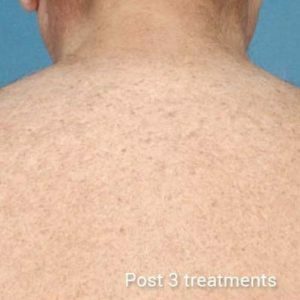 After an initial consultation and a patch test 24 hours prior to your treatment, your personal laser practitioner will prepare the area you have selected for the treatment. Once the laser machine has been prepared, the treatment head is moved over the area of skin and activated. In a few cases, the skin may appear slightly sore or red immediately after the treatment. The laser practitioner will apply a cooling aloe vera gel any redness will soon go down. Laser treatment affects hair in the active growth phase (anagen stage). The laser beam is made up of precisely controlled pulses of energy which are absorbed by the melanin or pigment in the hair and reaches into the active hair follicles that lie beneath the skin. The energy heats the hair, right down to the bottom of the root, safely destroying it without damaging surrounding tissue or skin. At any one time, 90 per cent of follicles will be in the anagen phase, so a course of treatment is needed to ensure that all follicles are affected and will not produce any more hair. Most people will need a course of between 6 and 8 treatments after which time the hair will appear visibly reduced and skin will be smooth and even. Laser hair removal is an excellent treatment for targeting unwanted body hair. 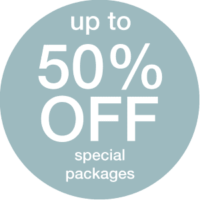 From the sensitive bikini area to your legs, underarms, or even your face, we can help. Does your significant other have embarrassing back hair or too much chest hair? 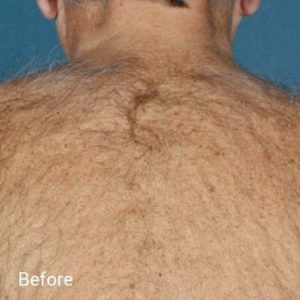 Laser hair removal is one of the leading techniques for helping with this. Our staff members are highly trained and specialise in treating men and women, both dark and Asian skin types, and transsexual, Transgender clients both post and pre-op, and female clients suffering from Polycystic Ovary Syndrome (PCOS). You can make an online booking by either contacting us on our consultation form. Ring us 7 days a week to find out more about a treatment or make a booking. Visit any of our 8 Premier Laser clinics across London to find out more.